Paper eye candy here! 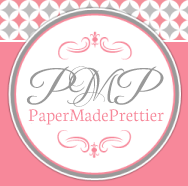 Sign up to receive emails from papermadeprettier. I will keep you up to date with fun projects, creative ideas, fantastic events and inform out about sales and specials that Stampin' Up is offering. IF you include your mailing address and birthday, I will send out sweet cards and goodies periodically! NEVER junk mail from the company, :) only happies from me! Want a card? Include your birthdate!